SPRINGFIELD - A youth mentoring program run by a local police officer received a big financial boost Thursday night. 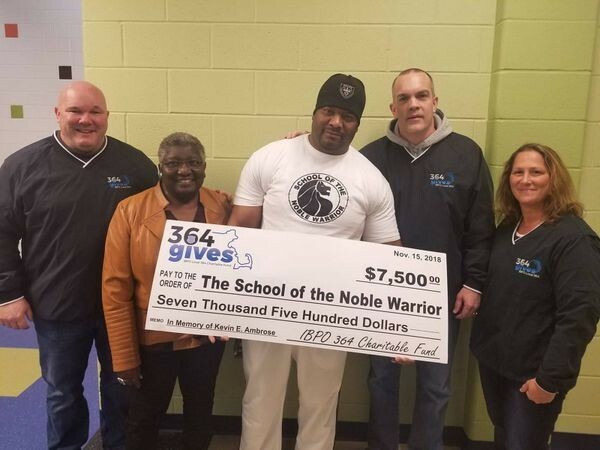 “The School of the Noble Warrior” provides both mentoring and martial arts training to at-risk youth in Springfield and is run by longtime Springfield officer Ahmad Sharif. Executive Board members of 364 Gives, the Charitable Foundation of the Springfield Patrolman’s Union, Local IPBO 364 presented Sharif with a check for $7,500 Thursday night at Elias Brookings School, where classes usually take place. Sharif is also a member of Local IPBO 364. Sharif, who has been an officer with the Springfield Police Department for over 20 years, first started giving classes to a handful of youth out of his basement in 2005. It began, he said, as an attempt to help families in the community whose children needed guidance and structure. Over a decade later, the program has grown to include dozens of local youth. Sharif said in the future he hoped the program could continue to grow and serve more young people. “We strive,” he said. To see the origional article, please click HERE.